Karkala, 24 Mar: There is acute scarcity of drinking water at Pavanjigudde state-allocated housing sites, Saccheripete that comes at the limits of Mundkoor gram panchayat, near here. 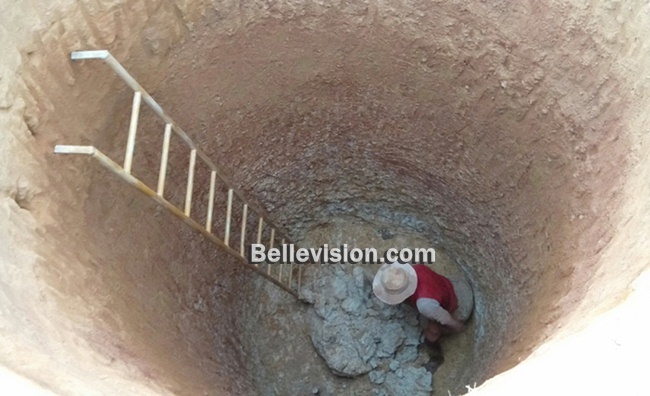 The open wells that had been dug up by the people found no water. Meanwhile, a lone enterprising youngster named Bhuvanesh who has dug up 15 feet depth grueling through steep boulders from 10 feet to 15 feet found abundant of water. People find it difficult to believe and say it is a miracle indeed. 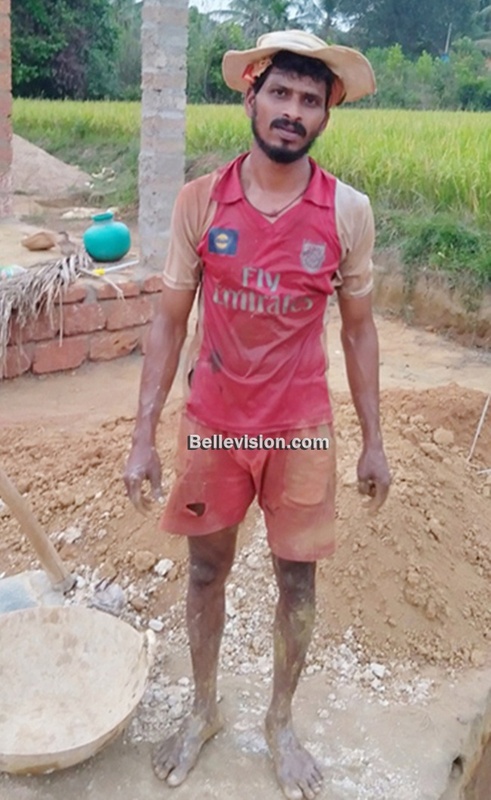 Bhuvanesh has become a sensation overnight who has dug up the well daily from 5.30pm to 7.30pm for 16 days after his regular job. He owns just 5 cents of plot. It’s a marvelous achievement at a time aquifers are depleting despite borewells are dug up below 1000 feet without success. His earnest efforts and determination paid off with abundant water that he supplies to nearby 3 families. Bhuvanesh (32) is living with his wife and 2 children in Pavanjigudde. He desperately bought the plot when others sold it cheap since they have not found any water even after digging many open wells. Meanwhile, he wanted to change his destiny with grit and courage in digging the open well and finding abundant water. His part time job during his childhood with Cheria Monu, open well contractor helped him with the insight in this feat. 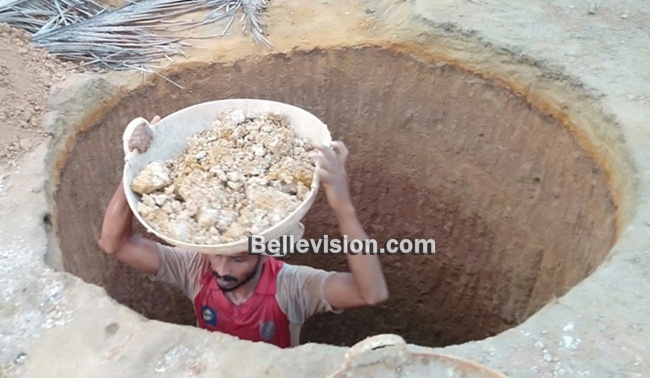 He persisted in digging more than 15 feet where others abandoned to find abundant water.